Many of our products are far more than just cosmetic. The products listed above are used to resolve a number of issues commonly encountered in the concreting industry. Concrete remediation is safe and easy when using our binders, stabilisers and sealers. 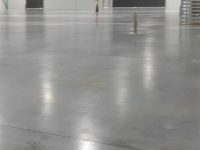 Since WBS products can be applied to wet surfaces you can seal slabs the same day as it’s poured. These penetrating sealers not only protect the surface but create a moisture controlling matrix. This matrix slows down the vapour permeability of the surface, and in turn, the moisture loss through evaporation. This results in improved curing and less surface crack formation. This Moisture Retention Technology (MRT) sets Pro Seal apart from other concrete sealing systems. Independent lab tests show that even just a single coat of ProSeal 896 will result in retention of 34% after 72 hours. ProSeal 770 achieved 30% retention at 72 hours. So now you can cure and seal in one easy application. Don’t get caught out by rain ever again! In the event of unexpected rain use ProPrimer 575 to rapidly cure the skin of the concrete and protect it against over-watering and erosion. Always keep some on hand to get you out of a bind. If you ever have been caught out with a rain shower during finishing, chances are you’ve ended up with dusting concrete. 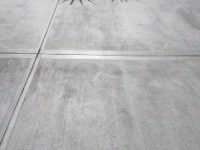 Dusting concrete can be caused by several different causes. But you can fix them all with one product. 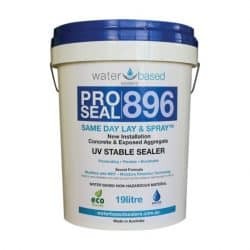 ProSeal 896 is a nano acrylic sealer that penetrates into the concrete to form a matrix seal that stabilises and strengthens the surface of the concrete. For highly porous slabs pre-treat with ProSeal 770. Stabilise and strengthen sand rendered surfaces with Pro Primer 575 to prevent cracking and erosion. Treated surfaces are primed and ready for application of paint or other finishes. For unfinished surfaces consider using a 2-coat system of ProSeal 770 & ProSeal 896 for increased UV stability. For invisible stabilisation of friable surfaces use Guard Hardener W. It penetrates deep into the surface and crystallises to strengthen and consolidate crumbling materials. It’s completely invisible but creates a highly hydrophobic surface effect so that water beads off. Salt spall is crumbling of concrete or masonry which is caused by salt. It is common around pools, areas affected by rising damp and on the low side of retaining walls. Water contains dissolved minerals, or salts. When water enters a porous material it brings these salts with it. 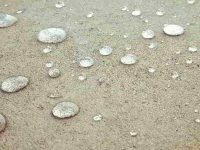 When water evaporates at the surface it leaves these salts and minerals on the surface or in the pores of the substrate. Salt crystallising in the pores can cause micro cracking, which creates a friable, crumbly surface that is susceptible to premature erosion. 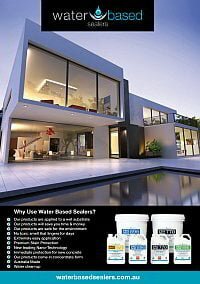 Guard Hardener W is ideal for treating concrete and masonry affected by salt spall. It remineralises the substrate to densify and harden. Plus, it produces a very strong hydrophobic effect that keeps the salt containing liquids out. Thereby, protecting against ongoing erosion. 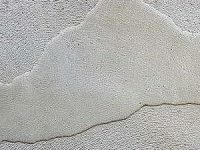 For very crumbly surfaces, such as failing reconstituted limestone, an acrylic binder may be a better option. ProSeal 770 is a 100% UV stable binder which will penetrate into porous surfaces and create a polymer matrix to hold everything together. Salt deposited on the surface is called efflorescence. It appears as a fluffy looking crystalline growth, or as a hard scale. 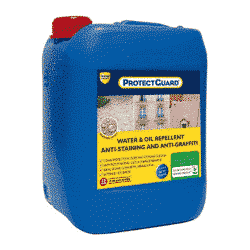 Use Guard Remover Eco Efflorescence and Cement to remove efflorescence. Then seal treated surfaces with Guard Hardener W, or ProSeal 770 & ProSeal 896 to impede re-occurrence. 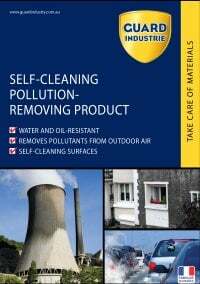 ProPrimer 575 is an easy to use and environmentally friendly waterproofing primer. Use it under coating and repair systems to provide a water resistant layer. 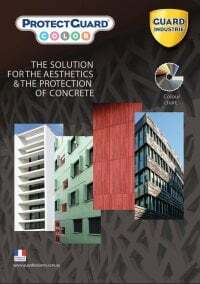 By effectively priming the surface it enhances bonding between concrete, masonry and applied coatings or repair systems. 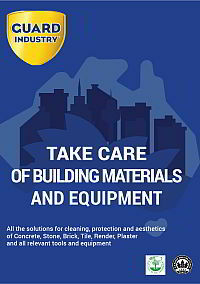 Ideal for use in repair of concrete cancer, for priming rendered walls and flooring systems. 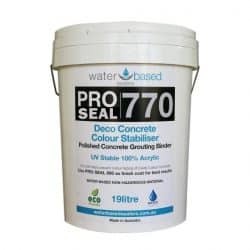 This product is also used as an admix to create super strong, fast curing and waterproof concrete.